What happens when a Time Inc. (TWX) executive picks a fight with Time Inc. EVP Sylvia Auton? John Huey may have solved the mystery. His name and editor in chief title, once prominently placed on top of the masthead of Real Simple and other Time lifestyle titles (which include All You and Cooking Light, though it’s unclear which of these titles included his name), has disappeared. Some insiders say that’s public evidence of a feud between Huey and Time Inc. Executive Vice President Sylvia Auton over the separation of church (editorial) and state (business). They think Huey wanted his name pulled, and point to a lucrative Wal-Mart ad in the current issue of Real Simple as a flashpoint. 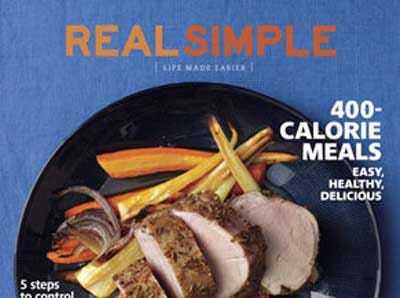 There are also grumblings that the Wal-Mart ad in Real Simple may violate American Society of Magazine Editors standards. Of course, as Kelly mentions, Time Inc. and Wal-Mart are already in bed together. All You is sold exclusively in the mass retailer. ASME’s guidelines on advertising and adjacencies (“Advertisements should not be placed or sold for placement immediately before or after editorial pages that discuss, show or promote the advertised products.”) are in place so readers don’t get confused. But, let’s be honest. Publishers now design ads and marketing plans in-house for the brands that advertise in its pages. Church and state have been in bed together for years, and though the recession may have increased the proximity of the two interests, it clearly didn’t do away with editor egos. advertising magazines people thewire-us time inc.